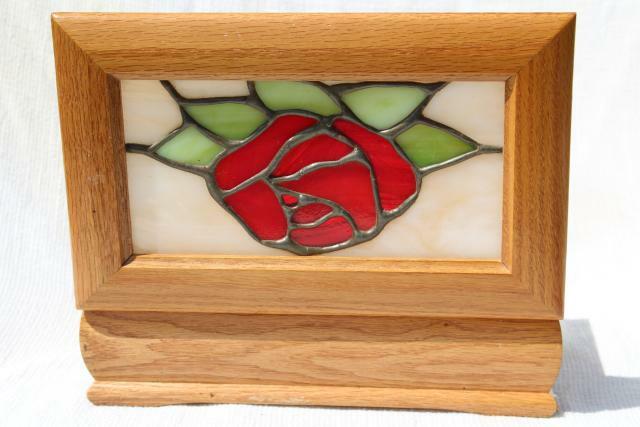 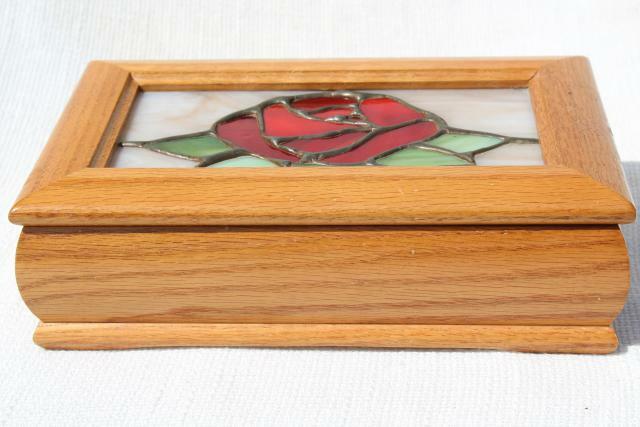 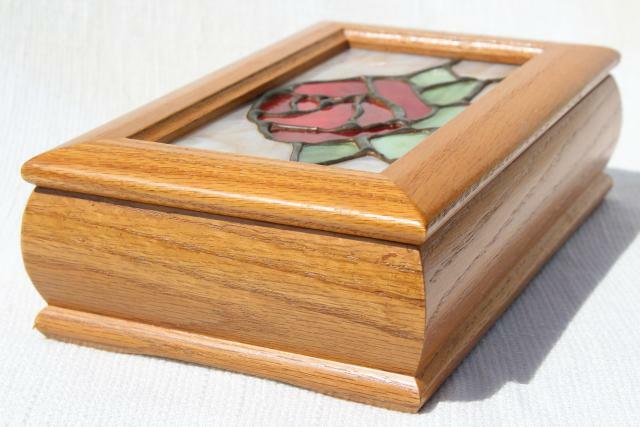 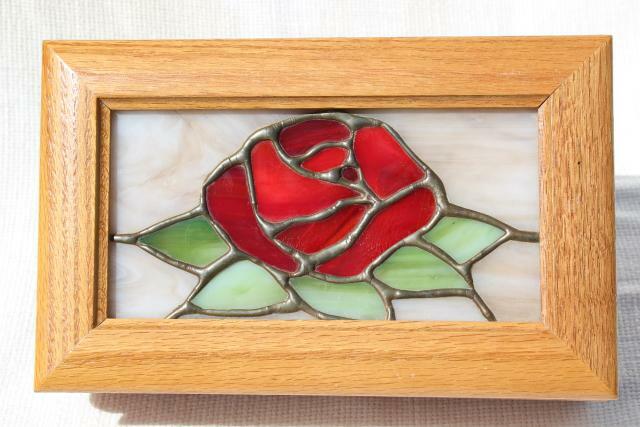 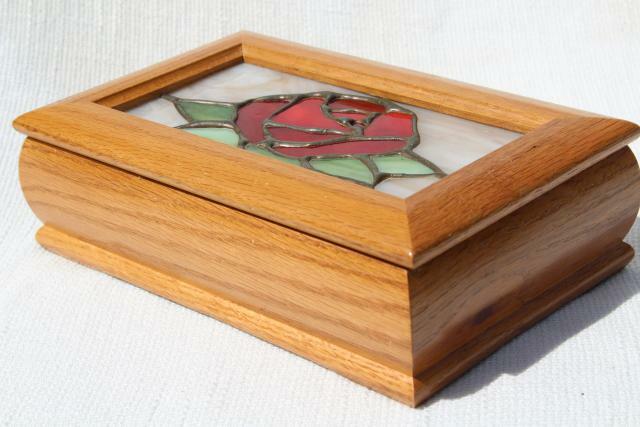 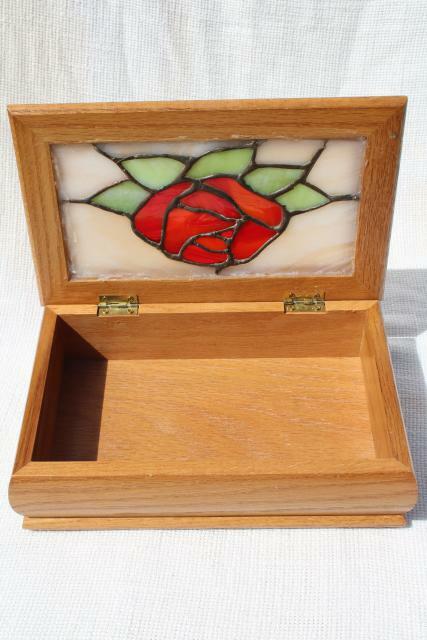 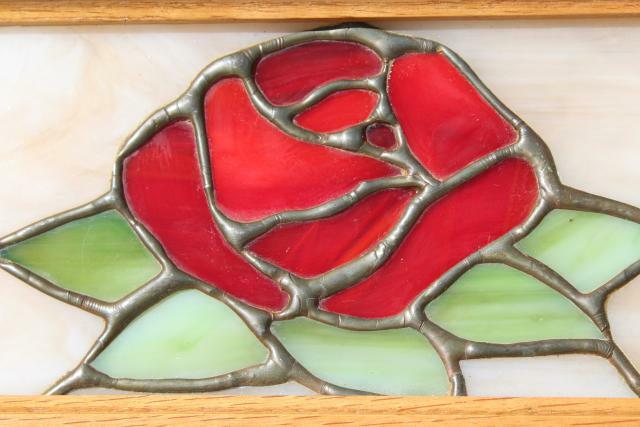 We love this vintage 'treasure box', the red rose in leaded glass looks like something from Beauty and the Beast! 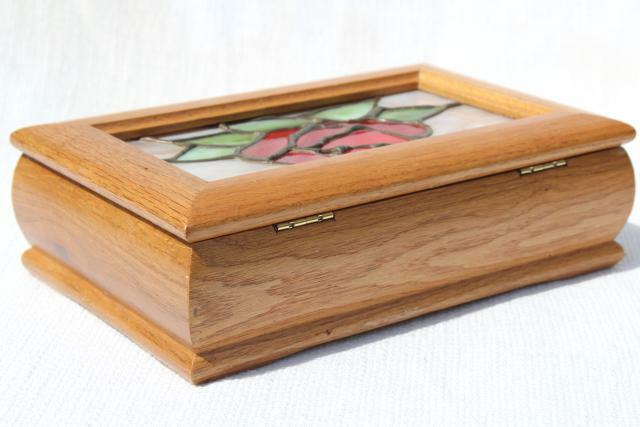 It's handmade, 80s or 90s, oak wood with stained glass window panel on the hinged lid. 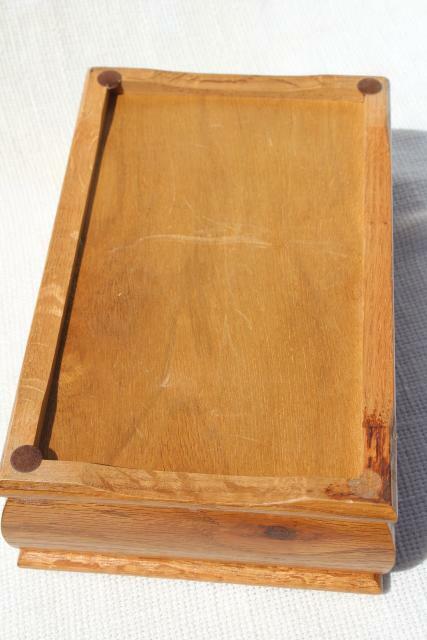 Measures 9 1/2" x 6" x 3" overall. 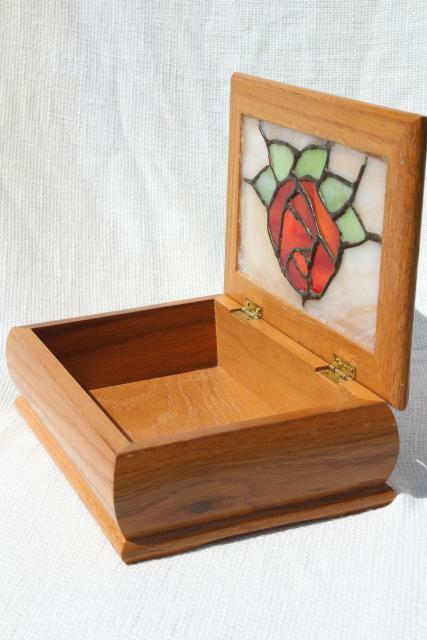 It's in very good condition with no particular wear, gently used.